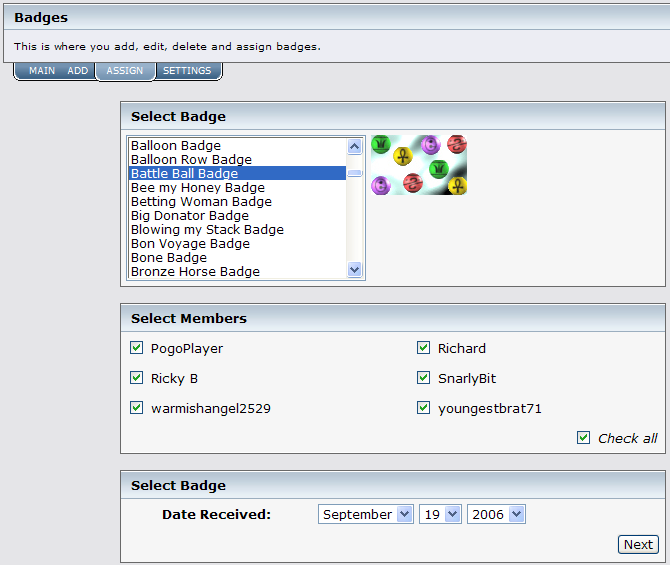 This mod allows users with the permission to upload images that will serve as rewards. The image and the details assigned with the image are stored and can then be assigned to members. 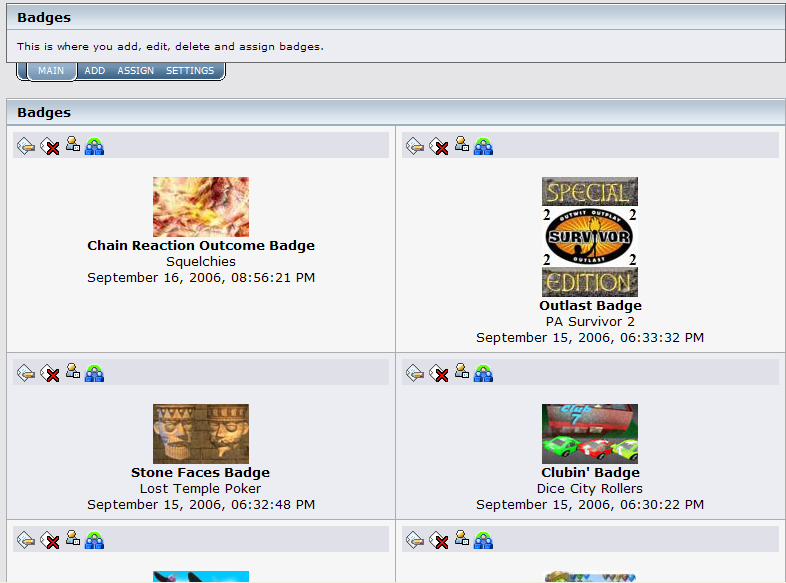 The Admin panel provides the place to upload them, assign them, and also they can be viewed there. 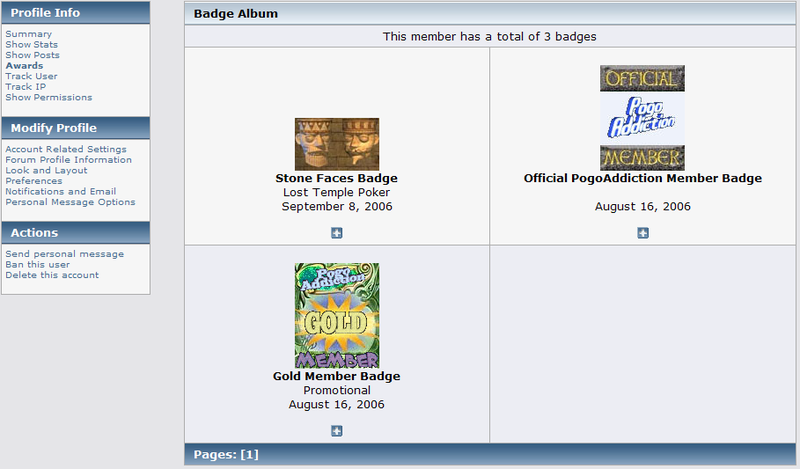 Once assigned, the member can view his/her album, as well as others. 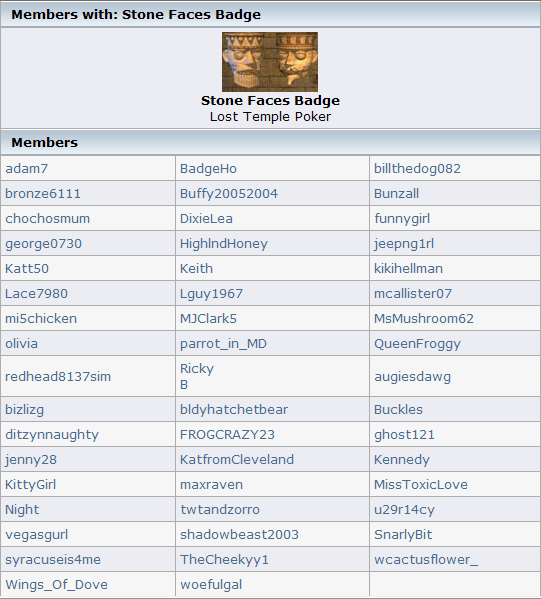 They will be able to select their favorite image, as well as see who else has earned that award. Those with the permissions, can edit the image and information assigned to that image, as well as completely delete it.
! Check to see if upload folder is already writeable.
! A few minor type-os. If you have the Global Announcements mod installed you need to install the Admin Modification Menu Section mod installed.